In this paper, we report a novel approach to fabricate gradient doped porous material via the slope-rotation method. 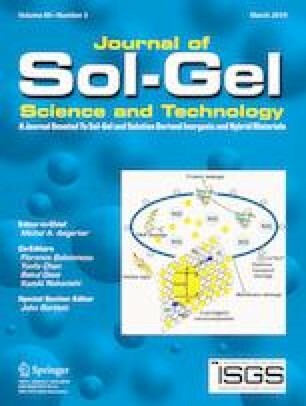 By using dibutyl phthalate as the solvent, benzoin methyl ether as the photoinitiator, and silica sub-microsphere as filler, gradient doped trimethylolpropane trimethacrylate (TMPTMA) foams were fabricated after rotating and mixing, ultraviolet curing, and CO2 supercritical drying. The microstructure and gradient distribution of silica fillers were characterized by nitrogen adsorption, scanning electron microscopy, UV–visible absorption spectrum, and thermogravimetric analysis. The mechanical property was obtained by dynamic mechanical analysis. 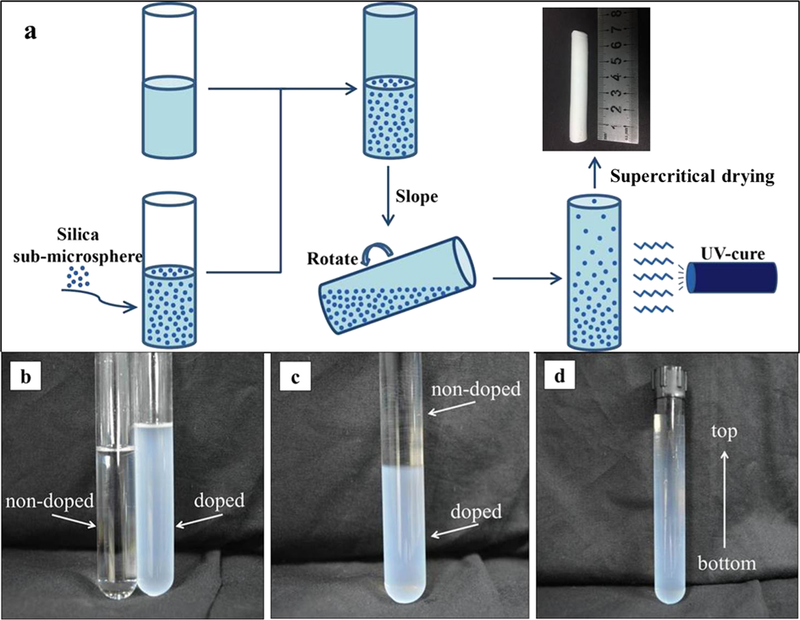 The results indicated that the approach was an effective method to fabricate gradient doped TMPTMA foams and had the potential to prepare any kind of gradient doped porous material derived from a sol–gel process. The mechanical property was further reinforced by gradient doping of silica sub-microspheres. SiO2 sub-microspheres gradient doped TMPTMA foams had been fabricated for the first time via slope rotation method. The mechanical properties of TMPTMA foams could be further improved with the SiO2 sub-microspheres gradient doped. This work was financially supported by the Science and Technology Development Foundation of China Academy of Engineering Physics (2015B0302071).